A yacht charter offers all the eminence and advancement of a floating villa enabling you to explore a variety of exciting destinations amidst luxury, comfort and privacy. 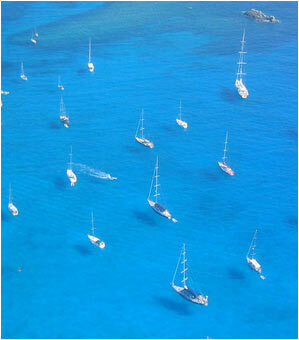 As a guest on a yacht charter you are able to customize every aspect of your yachting vacation. Whether you prefer snorkelling colorful reefs or strolling on a white sand beach; dining on five-star cuisine or a beach BBQ; finding sophisticated shops or quaint towns & fishing villages, Virgin Sailing has the global charter scene covered. Your pristine, well-equipped yacht comes with a full-time permanent crew. Meals are designed and prepared with your preferences in mind to a very high standard by your personal Chef. Your Captain will use his skills and extensive experience to ensure your vacation is safe, fun and unforgettable. Many offer sailing and Dive tuition, and water sports instruction. The crew will know the cruising area extensively and will find you that secluded anchorage, deserted beach, party bar or beautiful sunset that you have been dreaming of. Visit our exclusive line of yachts available for charter, or preferably contact us as our aim is to realise your dream yachting vacation.